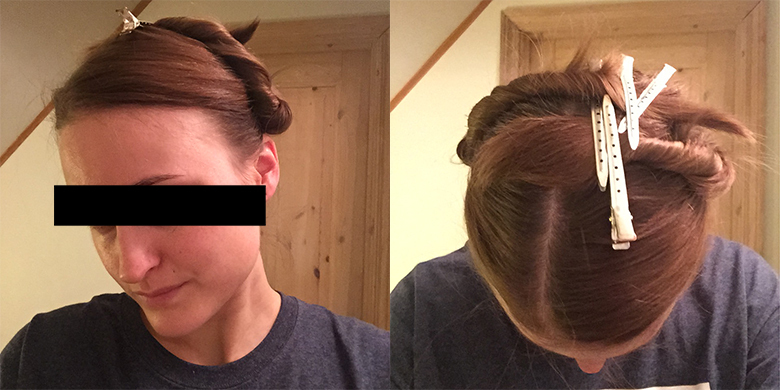 I’m pretty sure I promised you a “Lazy Girl’s Hair Trick” once? I know I did! The thing is, I’m absolutely useless with hair. I have no patience for it. I never use my curling wand or straighteners, and if a style takes more than 5 minutes to do in the morning then it just won’t happen. Nope. Never. Which is why I have to share this trick with you – it is dead easy, you don’t use any heat, and all you need is a couple of hair clips! You don’t even need to have freshly washed hair. No heat, no fuss. This, my friends, is this lazy girl’s holy grail. Pre-bedtime face censored. I’m all for a good #nomakeup, but this was a bad #nomakeup. And this is what you do: Part your hair wherever you usually part it and split it in two. Then you twist it. Just twist! I prefer to do it away from the face, as it for some reason turns out looking a bit more polished that way. OK, done twisting? Now you secure the hair on top of your head. That’s it. Done. Go to bed. I usually do this right before I go to bed, and I give my hair a light spritz of water so that it dries in shape overnight. If it is beanie weather I will wear the clips hidden under my beanie until I get to work in the morning and take them out when I get there. 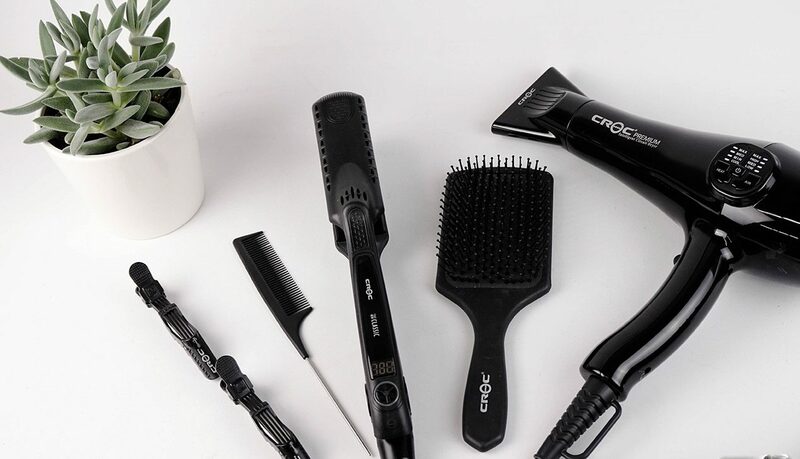 If you want to look all sleek and polished you can brush the waves out (I carry a tiny brush in my bag), or you can comb them out with your fingers for a messier look. Boom. Great hair with minimal effort. You could also do this if you have a little bit of time to get ready for a night out: just twist and secure your hair (again with a tiny spritz of water) and let it set while you do your makeup or eat a snack or whatever. You can give it some heat with your blow drier to boost the lasting power, but allow your hair some time to cool before you remove the clips. Seriously, I do this all the time. If I prep my hair with salt spray beforehand and comb the waves out with my fingers I get beach hair, and if I stay away from the salt spray and brush my hair out with a brush it looks nice and glam. Such wave. Very glam. Much easy. Wow. I should probably excuse the use of iPhone photos in this post, but I kind of feel like it goes with the whole “Lazy Girl” theme, no? Do you have any fabulously easy hair tricks? Do share! → Scandi chic: the new Parisienne? And you can now go from #RapunzelProblems to #LongHairDontCare! Your trick is awesome, and the results are so pretty! I’m incredibly lazy when it comes to my hair, to the point I got bangs again since just them being there kind of looks like I’ve made an effort… I’ll definitely be trying this! Such glam indeed! Love it! Have to say, I am even lazier than you when it comes to hair. If it involves anything other than spritzing lightly and mussing, it doesn’t get done. I don’t even own a hair dryer, let alone a curling iron. But this, this I could get behind ( if my hair was long enough). 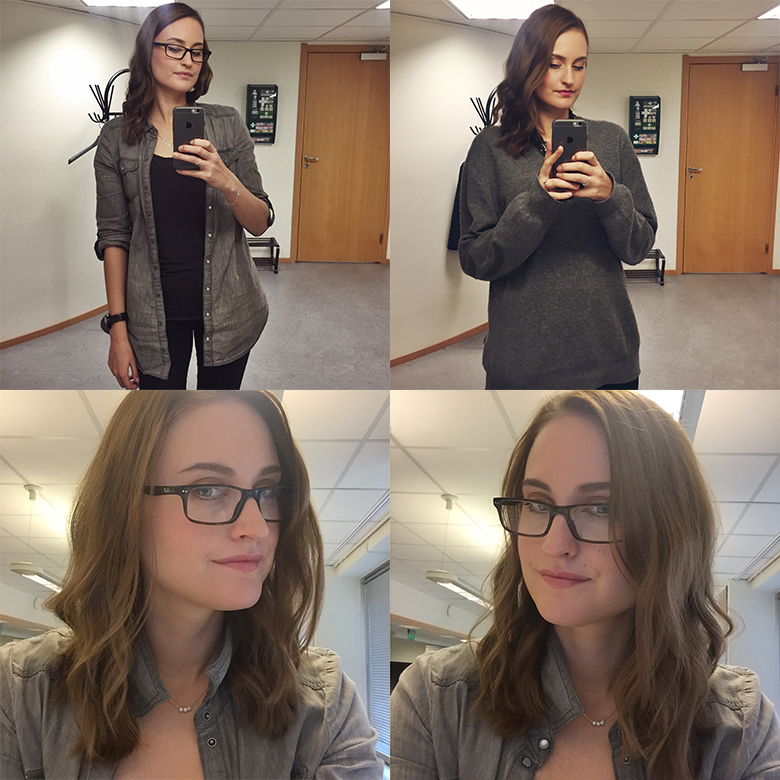 My only nod to styling is when I start to feel like my hair’s looking old and boring, I flip the part to the other side. Much daring. So wow.